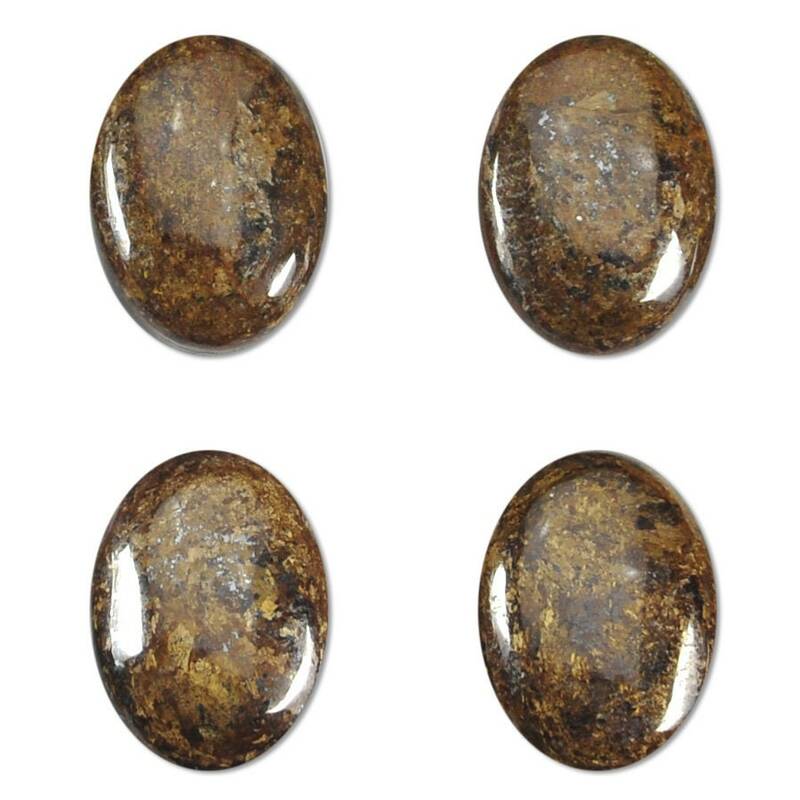 Bronzite is a brown stone with a bronze-colored metallic luster due to iron deposits within the stone. An orthoproxene mineral, it is believed to be a grounding stone that promotes certainty, decision making and creative thinking. These have a flat back. Measurements: 25mm X 18mm X about 4mm high. Please be aware... GEMSTONES ARE A NATURAL MATERIAL. EACH CABOCHON IS UNIQUE AND ONE OF A KIND. THEREFORE, THERE WILL BE VARIATIONS FROM THOSE PICTURED.